A battle among shareholders over Uber Technologies Inc [UBER.UL] escalated on Thursday as some investors sought to fight a lawsuit by shareholder Benchmark Capital against ousted Chief Executive Travis Kalanick. He said Benchmark’s effort to remove Kalanick from Uber’s board was aimed at gaining control of the company. “If Benchmark insists on trying to use the courts to try to take over this company, we are committed to doing everything we can to try to stop this abuse,” Pishevar wrote in the letter sent Thursday. Kalanick has called Benchmark’s lawsuit “a public and personal attack” without merit and called for the dispute to be moved to arbitration, according to court filings. The motion was filed by Russell and Sofreh LP, Pishevar’s partnership. A copy of motion was provided to Reuters by a source close to the matter. A judge must rule on the investors’ request to intervene in the lawsuit. Benchmark’s lawsuit accuses Kalanick of fraud in concealing misdeeds from the board when last year he requested the board add three seats that he would have the sole right to appoint. Board members, including Benchmark, approved. The lawsuit says the firm never would have approved the request had it known about the misconduct, including details of an alleged theft of trade secrets that has led to a high-stakes legal fight with Alphabet Inc’s (GOOGL.O) self-driving car unit, Waymo. The legal battle could determine who wields power at Uber as the world’s largest venture-backed company looks for a new CEO to help it overcome a year of scandals, rebuild its tarnished image and turn it into a profitable business. Kalanick was forced to resign as CEO in June, when shareholders representing about 40 percent of the company’s voting power signed a letter asking him to step down, following a succession of scandals at the company ranging from sexual harassment to using software to evade regulators in certain cities. Kalanick remains on the board and is involved in the company’s search for a new CEO. Pishevar has in two previous letters called on Benchmark to step down from the board and sell the majority of its Uber stake. Benchmark, an early Uber investor, has a seat on the company’s board, and Pishevar’s firm does not. 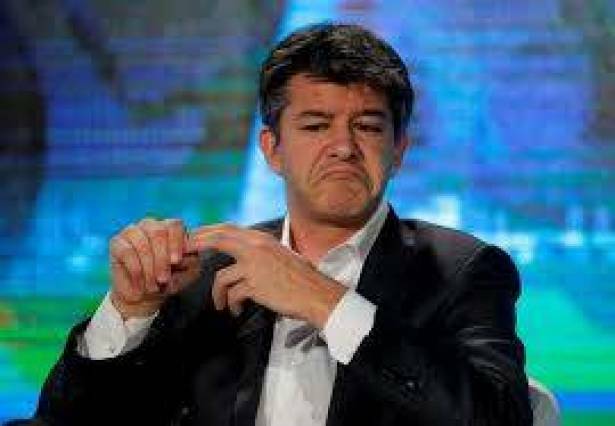 Benchmark doubled down on its allegations against Kalanick on Thursday with a new court filing that accused Kalanick of having a "corrosive influence" on the ride-services company and arguing that a Delaware court should decide Kalanick's future on the Uber board, not arbitrators. Removing Kalanick from the board is necessary "to ensure Uber is protected from Mr. Kalanick's corrosive influence and can promptly obtain the new leadership it needs to move forward," Benchmark's court filing said, referring to Uber's search for a new CEO. A spokesman for Kalanick said Benchmark's latest court filing relies on meritless personal attacks against Kalanick with no legal basis.